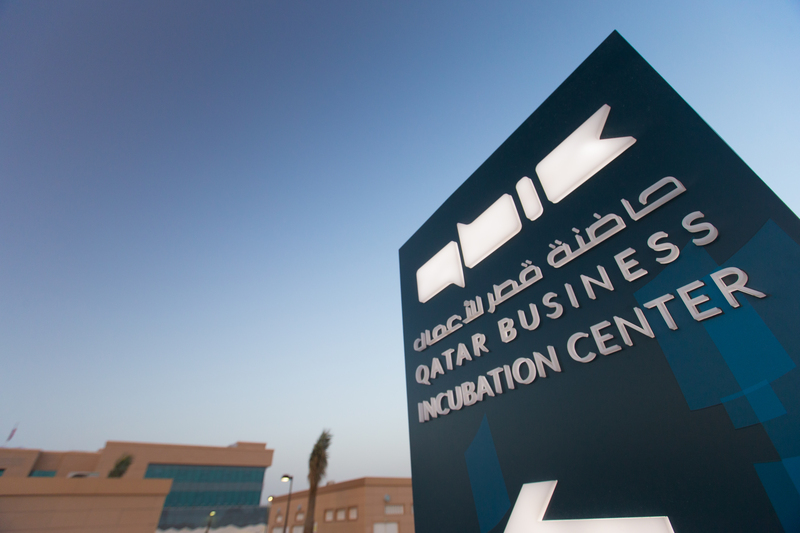 Founded in 2014, the Qatar Business Incubation Center (QBIC) has grown at an astonishing rate to become one of the region’s largest incubation centres in just three years. It strives to achieve the same levels of success for the many entrepreneurs and companies it supports. QBIC is a leading mixed-use business incubation centre, providing support services to innovative entrepreneurs and companies that either have an idea for a business, or want to grow an existing scalable company. The Center was established to provide all the necessary tools to help Qatari entrepreneurship thrive and flourish – including funding, office space, mentorship, and guidance. 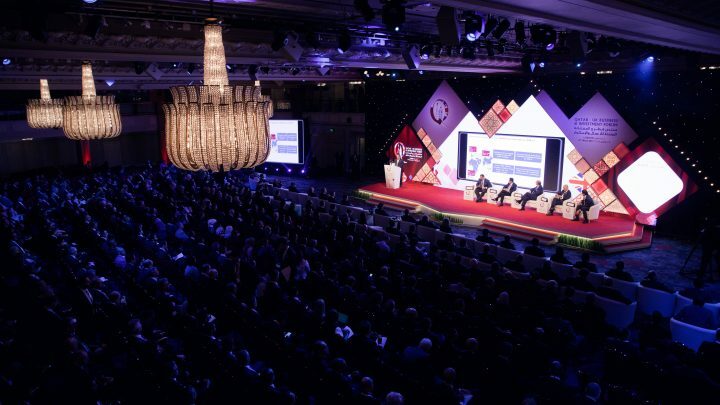 Qatar is focused on developing and heavily investing in the private sector as a means of diversifying the economy and establishing self-sufficiency, all part of QNV 2030. QBIC shares these goals with its founders, QDB and Nama, leading government institutions that promote entrepreneurship in Qatar. These organisations strive to diversify the market by supporting and creating a strong sector of SMEs. QBIC supports that vision by providing incubation opportunities. QBIC’s ultimate goal is to foster innovative ideas and help to create the country’s next business leaders. 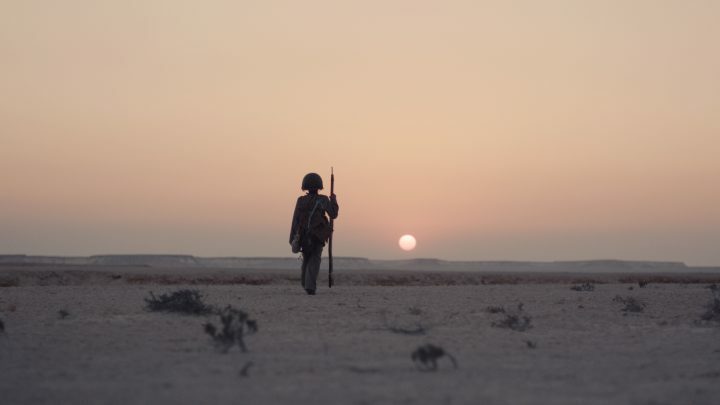 The long-term mission is to create the next QAR 100 Million companies in Qatar. Qatar’s economy is very dynamic, experiencing rapid growth and change. It requires constant vigilance in order to identify and target the business sectors of strongest growth. In line with QNV 2030, QBIC is focused on those specifically targeted sectors that will meet the country’s business needs. Every year QBIC tweaks its strategies and tactics to help its entrepreneurs navigate the fast-paced economy more effectively. QBIC partnered with Qatar Tourism Authority (QTA) to set up a specialised incubator, QBIC Tourism, which focuses on incubating start-ups in the tourism sector. A second partnership with Ooredoo Qatar led to the specialised incubator Digital and Beyond, which works on start-ups with digital solutions. More specialised incubators, for industries with high levels of interest from prospective entrepreneurs and the general public, are being planned. QBIC will also be launching its very own Fab Lab. Fab Labs (Fabrication Labs) are small-scale workshops that are equipped with materials and the digital prototyping and fabrication tools required to make initial product prototypes. QBIC’s Fab Lab will provide a platform for innovators, tech enthusiasts and budding entrepreneurs – with a major focus on Qatar’s youth – to develop prototypes, build their own products, and learn the skills and habits of a ‘maker’. QBIC is working towards launching Fab Lab Qatar in the first quarter of 2018. 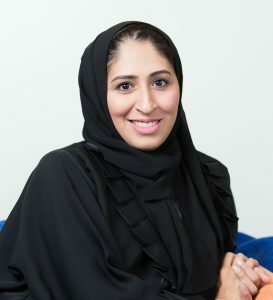 Aysha Al Mudahka is the Chief Executive Officer of the Qatar Business Incubation Center. She is a founding member of the Roudha Centre, which promotes women’s entrepreneurship and innovation, and is a board member of the training and education organisation INJAZ. She is also a member of the Global Shapers Community, a World Economic Forum initiative. Ms Al Mudahka is a Qatari national born and raised in the State of Qatar. She has a strong academic background in business, and previously worked for the Qatar Financial Centre Authority and the Qatar Finance and Business Academy. She completed two executive education programmes at the Wharton School at the University of Pennsylvania and Carnegie Mellon University Tepper School of Business. She also graduated from HEC Paris with an executive MBA, and completed her undergraduate studies at the College of Business and Economics at Qatar University. 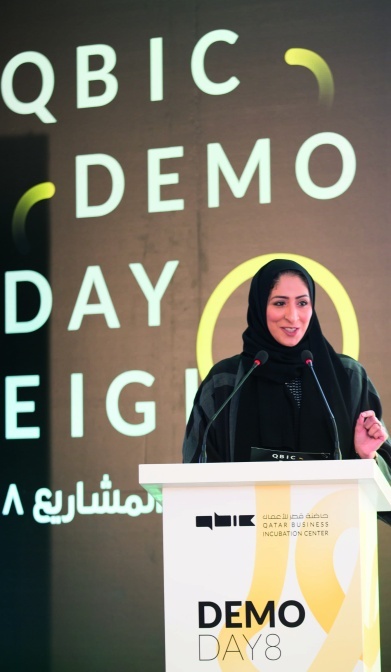 Al Mudahka was listed in the Top 100 Most Powerful Arab Woman for her work in entrepreneurship, in a ranking by CEO Middle East Magazine, and the 32nd most influential Qatari by Arabian Business Qatar.